Friday has arrived! Hell. to. the. yes. I'm signing off for the weekend in one of my favorite combos. Well I'm bringing it back and changing it up! love the polka dots! great look! Oh crap! That blouse is amazing!!!! Totally in love with these jeans..I love this cut..pulling mine out soon! I really need to invest in a Equipment blouse - this one looks great and I love the polka dots. I Love that blouse! It looks great with the flares. love both outfits! This shirt reminds me of a JCrew one I've been eyeing for a while - very cute! 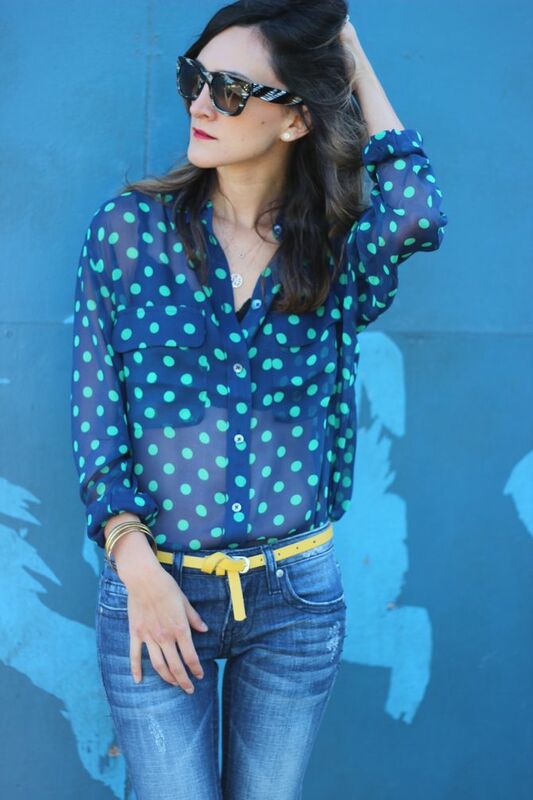 Totally love the polka dot top, especially with the yellow belt! Happy weekend. 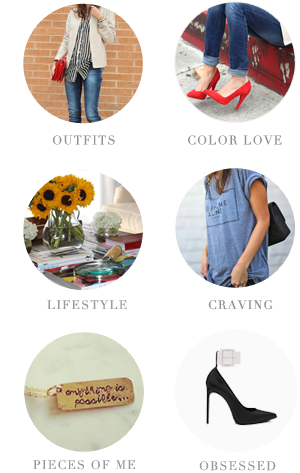 Such a cool vibe to your look! Stop being so hot, lady! fantastic look! the belt is great ! LOVE this outfit! I am obsessed with the jeans! Loving this outfit on you. The jeans and that shirt are prefect together! Happy Friday beautiful blue love the top and that pop of yellow with the belt so fab love the bell bottoms chic chic chic!! The yellow belt is so genius with the polka dots! And your legs look so long! Happy weekend Nicole! Flare jeans are my love forever! And I love how you styles this pair, they look awesome with this blouse. A wonderful weekend to you too. I'm so obsessed with this top! My Blog - A Pretty Nest- enter my GIVEAWAY !! !